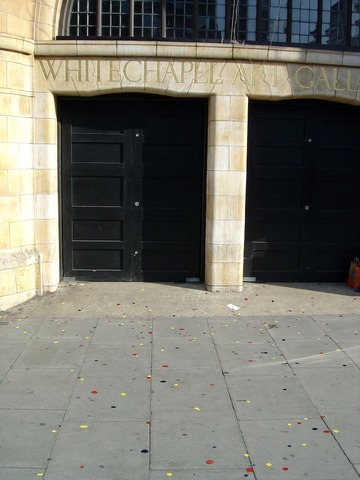 The exhibition was selected by Chantal Crousel, Director of Chantal Crousel Gallery, Paris; Chris Ofili, Turner Prize winning artist; and Niru Ratnam, critic and curator. 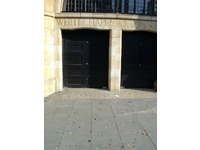 It focused on the history of the East End Academy, which first launched in 1932 as an alternative to the Royal Academy Summer Exhibition. 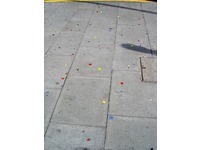 “Multicoloured Gum Piece” explores my ongoing investigation into site-specificity, temporality, and the role of public art. John McTaggart, and his paper “The Unreality of Time”, provided a starting point to look at art in flux in relation to the notion of permanence. My work expands on the proposition that time is actually not divided into distinct components such as past, present, and future, and this is addressed by the piece by posing questions about when a work of art has begun, exists for the viewer, and ultimately ends. 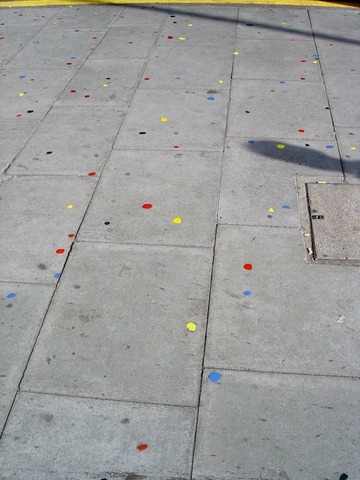 Discarded pieces of chewing gum outside the Whitechapel Gallery and Spitalfields Market were painted using colourful automotive enamel, which in turn, highlighted their presence. Similar to selective listening, where one listens to only what seems important, I proposed that selective viewing takes place. 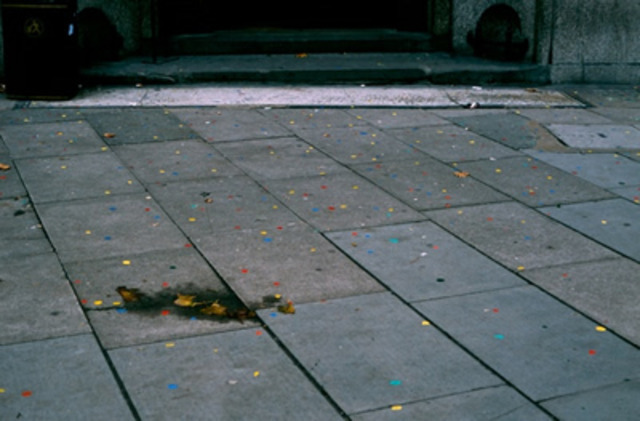 The discarded pieces of chewing gum on a pavement, due to their number, location, and colour, are unnoticed, and are, in some sense, invisible. Only when highlighted do they reappear. 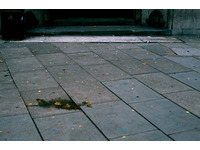 Due to its location on the pavement, the audience is both an accidental and unintentional one. 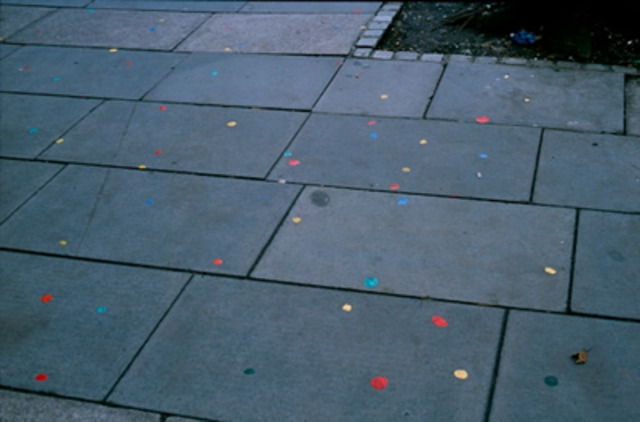 The work exists outside the gallery space keeping its link as ‘art’, but does not suffer (as much) from the hierarchy imposed on it by the context of the space itself. 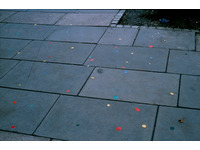 The exhibition was reviewed in Time Out, Art Monthly, the Sunday Times, and the Independent. A 72 page full-colour exhibition catalogue was produced in conjunction.